The Six Pack Care exercise bench helps you have the body you've always dreamt of. Simply use the Six Pack Care exercise bench for a few minutes per day and make the exercises to strengthen your abdominal. The Six Pack Care exercise bench is very useful to shape your abdominal. With abdominal exercisesyou can strengthen your core or just reduce your waist by some centimeters. The Six Pack Care exercise bench is designed to provide the best service with minimum space. The Six Pack Care exercise bench uses its rolls to provide a massage while you exercise and shape your body. You can also use the Six Pack Care exercise bench to do press-ups thanks to its central handles. It will allow you to rest your head and neck comfortably while the rolls provide you with a light massage every time you exercise. This system is more than twice as effective as doing regular sit-ups on the floor. The Six Pack Care Bench's back can adopt up to 3 tilting positions, so you can practice sit-up exercises with different difficulty levels. The Six Pack Care exercise bench features two chest expanders so you can strengthen your arms, upper muscles and back. 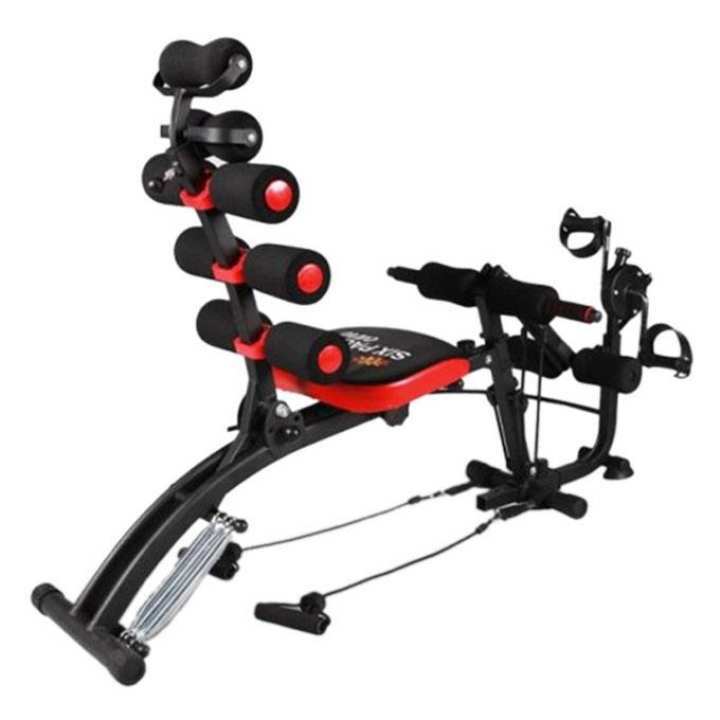 You can also do exercises to work out your oblique muscles thanks to its 360º rotating seat.